Nursing is a dynamic and rapidly expanding profession. It is the ideal career for those who want to help people achieve the optimal state of health. According to the Maryland Board of Nursing, there are a total of 43 approved nursing programs in the state. This number includes Practical Nurse (PN) programs as well as Associate’s degree and Bachelor degree programs. In this article, each nursing program will be described in detail and the advantages of each will be discussed. Nursing is an excellent choice for those who wish to help others and be intellectually stimulated. Nurses primarily assist clients in the promotion of health, the ability to cope with health problems and maintain life, the capacity to adapt and recover from disease and injury, and the support of their right to a dignified death. In Maryland, there are two major nursing options: licensed practical nurses (LPN) and registered nurses (RN). To become an LPN in Maryland, you must complete a Practical Nurse (PN) degree from an accredited institution. There are 14 PN programs in Maryland, and 13 of those are offered at community colleges. Most of the coursework can be completed in twelve months, however there is one high school program that is two years in length. After graduating from a PN program, the student is ready to perform as a direct caregiver under the guidance of other licensed health professionals. They work in settings such as hospitals, nursing facilities and pain management facilities. After becoming an LPN, students may be able to transfer their credits and work towards an Associate’s degree in nursing (ADN) or a Bachelor’s of science in nursing (BSN). According to the Maryland Board of Nursing, an ADN takes up to three years to complete and includes general coursework as well as nursing education. Graduates are eligible to work with other professional nurses and members of the health care team in planning and implementing comprehensive health care. 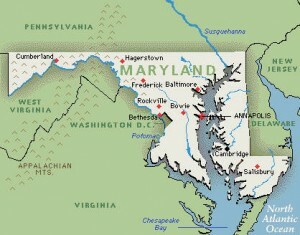 Maryland currently has 15 educational institutions that offer ADN degrees. There are eight Maryland universities that provide a baccalaureate degree in nursing. Graduates of this degree are prepared to assume positions of leadership and responsibility in a variety of practice settings, and to enter graduate school for specialized study. These usually take four years to complete and include a broad general education base, along with clinical practice. 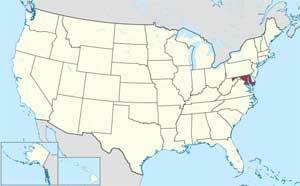 Currently, there are only two approved online nursing programs in Maryland. They are provided by Indiana State University and Chamberlain College of Nursing. Both schools provide programs for LPN and RN designations.